Buyer Legends is an agile business process for user experience analysis created by Bryan and Jeffrey Eisenberg that is outlined in their book Buyer Legends. The process uses buyer personas to evaluate the user experience from the customer’s perspective and generates a narrative of the customer journey to identify areas for improvement. The process begins with identifying an important customer segment and researching their characteristics. 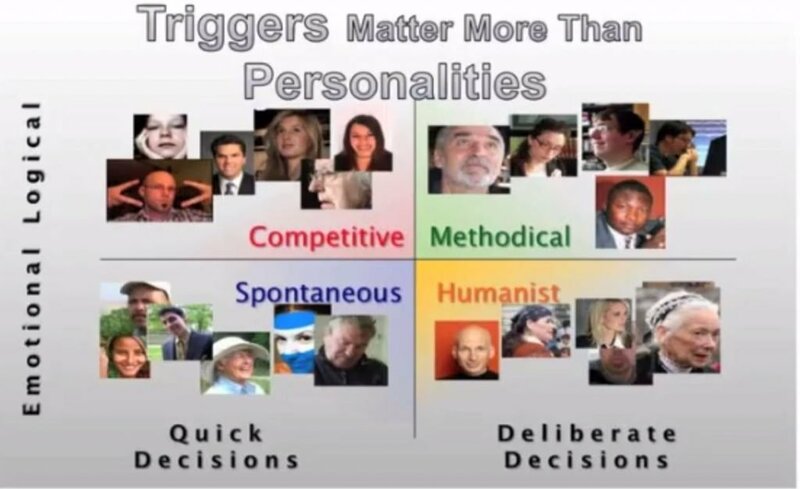 It is then necessary to select one of four temperaments to use for the user journey analysis. A pre-mortem is then used to identify possible reasons why a visitor would not convert. The next step is work back from a successful conversion in reverse chronological order. Here we focus on how the user feels during each step of the customer journey. This allows us to write a narrative of the customer journey, including opportunities missed, pain points and emotional responses to each step in the process. 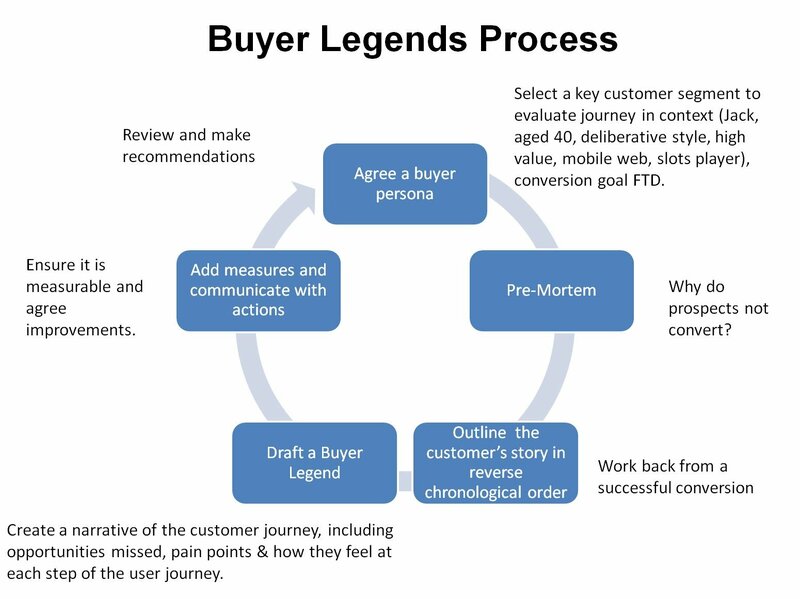 Finally we ensure the buyer legend is measurable and we agree improvements. Also see post – How to use personas to improve conversions. See personas.